Function Rooms for Rent in Manila: Celebrate! Any available function rooms for rent in Manila? Metro Manila in general, that is. Searching for that affordable venue for your next meeting or “team building session” should not be a hassle. Especially when you have a ready checklist to glance at once in awhile. Factors like how many people can a function room fit? How much does it cost per hour? What other perks are included? These served as factors in assembling this list of function rooms for rent in Manila. The restaurant’s name, Cafe Sweet Inspirations, gives you an idea that their specialty leaned towards cakes and pastries. It could not have been farther from the truth. Located at 311 Katipunan Ave, Loyola Heights, Quezon City. This restaurant/cafe/bakery is also known for their Mongolian buffet. This means you get to make your own Mongolian bowl depending on which ingredients found in the buffet suited your taste. Cafe Sweet Inspirations’ function room can host up to 30 people. That’s almost half a whole class if you plan to have a class reunion or office get-together in here. Possibly one of the function rooms in Manila recommended if you expect an attendance that big. Call them up at (02)432-4200 if you plan to spend beyond 3 hours in this sweet spot in Katipunan. Blacksoup Cafe + Artspace has become the place to go for summer workshops. True to its label of being an “artspace”. But most of the buzz came from its menu that features suspended coffee and guyabano ice cream. Names alone just increased this place’s buzz-worthiness. Located at Unit G, Maginhawa Bldg, 154 Maginhawa St, Sikatuna Village, Quezon City. The workshops staged here also exposed one of the best function rooms for rent in Manila if you see yourself organizing similar events. What kind of events have they hosted in the past? 2 of them are the story-telling workshop featuring “Kuya” Bodgie Pascua of Batibot fame and the Basic Stop Motion Animation Workshop for Kids. If you have similar workshops in mind to stage at Blacksoup Cafe + Artspace. The intimate setting here would help. Now, “intimate” means an event that can house up to 20 people. That, dear readers, meant an all-inclusive package to go with the rental fee in one of the most interesting function rooms for rent in Manila. 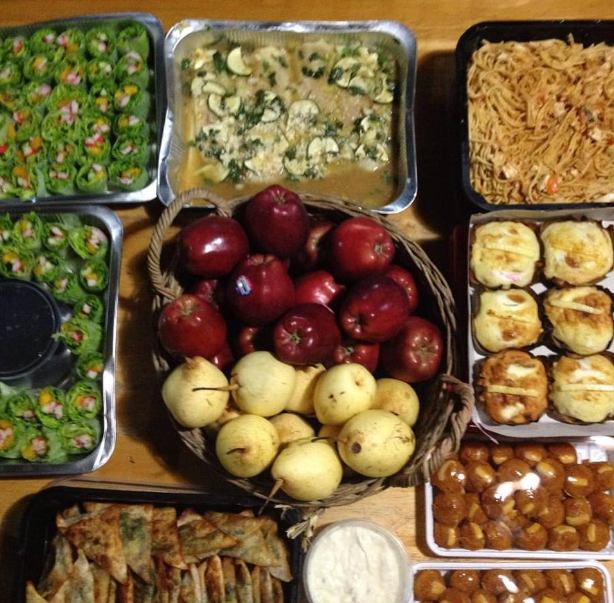 Call them up at (02) 435-2549 for specific quotations including food and drinks. Sometimes, all you ever wanted in your event is a place to unwind. Some of you, readers, might interpret it as KTV night. This is where one of the upbeat function rooms for rent in Manila is recommended – AfterShift Grill & Restaurant. After securing a niche among call center employees. AfterShift Grill & Restaurant has cornered a market need for function rooms for rent in Manila. How? By having VIP rooms that can house up to 12 people for a night of partying. Yes, some people can’t find the courage to sing their heart out unless aided by alcohol. You immediately lose your inhibitions that way. Located at 101 Urban Ave, Makati, it’s the essential watering hole to hangout with your friends. Any specifications or particular queries about their VIP rooms may be asked by calling them up at 0917-498-8764. Ever had a craving for Truffle Mushroom Pasta? If you are into pasta served with toasted pan on the side while having your frappe. Ella and the Blackbird is the ideal spot for you. Rice meals like Beef Salpicao and fusion cuisine like the Adobo Pasta are some of their recent additions to their offerings in this cafe. It has also become one of the cafes that foodies troop to when searching for function rooms for rent in Manila. Where is the function room rented here at Ella and the Blackbird? This is one of the function rooms for rent in Manila where the place itself is the one being rented out per hour. Quite economical for the owner. This would simply mean having the place reserved for an occasion of your choice. 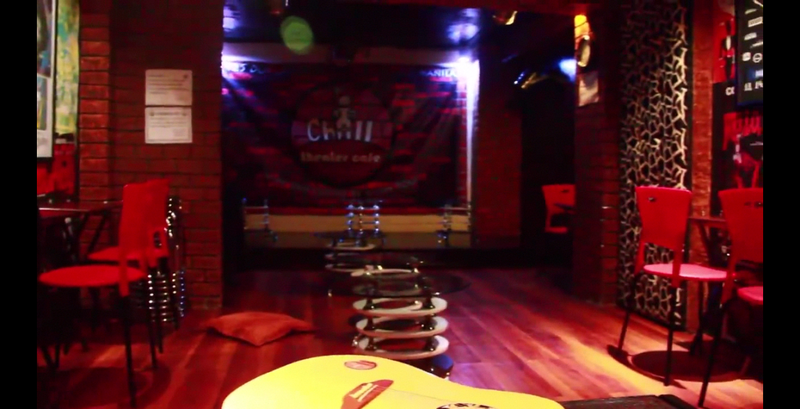 The laid back look of this cafe seemed like an ideal place for open mic events or acoustic nights. Could be an ideal place to have an intimate event. Located at 88 Esteban Abada St, Loyola Heights, Quezon City, you can call in your queries by dialing (02) 294-1633. Sometimes you arrive in a place that has one of the function rooms for rent in Manila that gives you several choices. A KTV night, an open mic night, a film showing night. And maybe even a night to simply celebrate birthday parties. Any occasion that could be booked in a room that could fit up to 30 people. It also helped that iChill Theater Cafe operated on a musical theater theme. Perfect for musical theater nerds. The walls are surrounded by posters of musical theater productions from the collection of its owner/proprietor, theater actor Kuya Manzano. It has hosted several events in the past that ranged from the light hearted fare to the casual lectures to the laid back debates. Renting the function room at the second floor is on a per hour basis, regardless of how many guests you expect at your event. And it’s only for P1,400 per hour. All-consumable of food and drinks. Located at Dos Castillas Dr, Sampaloc, Manila, it is just a few corners away from the University of Santo Tomas. As one of the function rooms for rent in Manila that is easily accessible, calling them is as easy as dialing (02) 521-0056. You can also send your queries on their official Facebook page. Getting in touch with any of these cafes and restaurants would be a good start to choosing which among these function rooms for rent in Manila fits your bill. Chances are you have a budget to keep in check as well. For more updates regarding which batch of function rooms for rent in Manila to analyze, just follow us on our respective social media accounts like Facebook and Twitter. We’d be expecting you.